Weeping willows (Salix spp) are among the most adaptable trees from which to root and grow cuttings. A native tree of China, weeping willows are commonly found near water and along lake edges where they naturally thrive. Willows can also be found in drier soils where they do quite well if adequate water is made available during drought periods. Cuttings are commonly taken from weeping willows in winter months to be rooted and planted. Cuttings are commonly from 6 inches to 6 feet in length. Take cuttings from willow trees between early fall and winter. 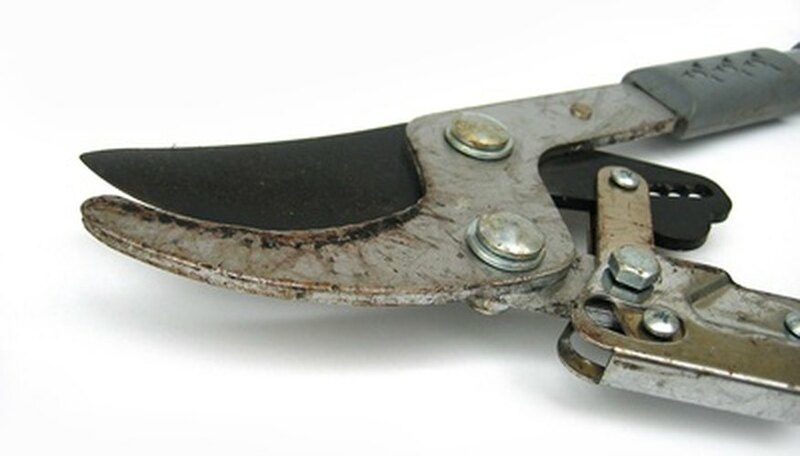 Use sharp pruning shears and cut a straight shank out of a stem area less than one year old. Make each cutting at least 8 to 12 inches long to allow for rooting and planting. Root the cuttings in a container deep enough to allow at least half of each cutting to be submerged in water. The container and cuttings should be placed in an area inside the home where it will remain warm and receive partial outside light. Fill the container 3/4 full with water, and stir in the appropriate amount of root stimulator as directed on the stimulator container. This amount may vary by root stimulator brand, but is normally in the range of 3 tsp. per each gallon of water. Allow the cutting to sit undisturbed for three to four weeks as the cutting sprouts roots just below the water line. When the roots become 3 to 4 inches long, the cutting is ready to be transplanted into the yard. Choose the optimum area for the weeping willow cutting to be planted. Weeping willows should not be planted close to structures, near underground utilities, or near sidewalks or concrete slabs. 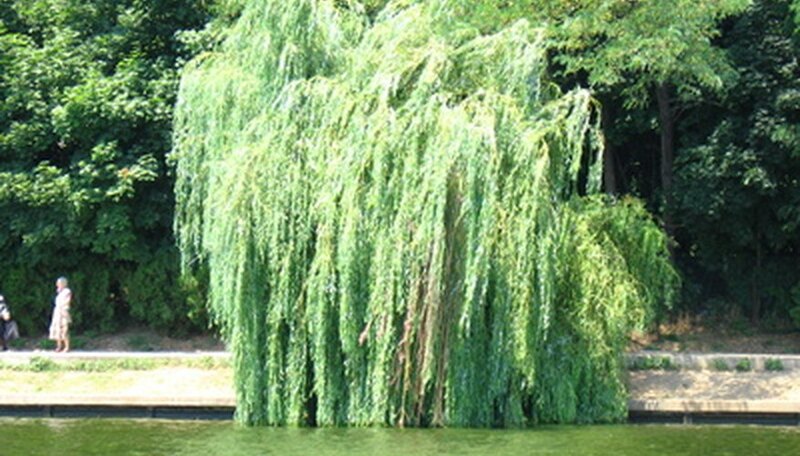 Weeping willows are fast growing trees, and the root system grows vigorously. Select an area far enough away from other obstructions so that it may grow without creating problems later. Dig a hole approximately 12 inches deep and 18 inches wide in unfrozen ground when no frost or ice is scheduled in the forecast. Backfill the hole partially with rich compost and garden soil before setting the cutting into place. Set the cutting into the freshly prepared hole where the rooted section of the cutting is just below ground level. Hold the cutting in place firmly while continuing to backfill around the cutting with potting soil or other prepared starter soil. Pack the soil down around the cutting firmly so it cannot be easily uprooted. Staking the newly planted cutting and placing a small wire cage around it will help protect it from curious animals and other passers-by until it is firmly rooted. Water the newly planted weeping willow cutting with a slow soaking. Keep the soil moist for the next couple of weeks for best results. Secure each cutting with stakes to prevent excessive movement or damage from wind and surroundings until it is well rooted. Do not place rooting plants in root stimulator where pets may inadvertently drink the water.